Whether you’re selling or buying timeshare, a timeshare broker has many advantages. 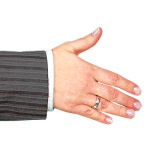 Deciding on the best timeshare broker ensures that you get the perfect deal. It also eradicates the potential risks associated with advertising separately or through brokerages lacking any proven reputation. Choose an effective timeshare broker and protect your security. This is one of the biggest benefits! The timeshare industry has stringent legislation that governs how brokers conduct their business. Therefore your chosen broker should follow these rules and other guidelines to protect your cash. Some also use escrow accounts held by independent parties to offer their clients extra security. Apart from offering complete end-to-end security, a broker has lots of advantages for both purchasers and vendors. Investing in the future of your holidays by purchasing timeshare can help you save money. It offers many years of fantastic getaways. But it is critical to choose an effective timeshare broker with experience and a reliable reputation. You probably already have an idea of your ideal timeshare. A reputable broker can support you in finding timeshare weeks or points that match all of your requirements. This includes budget, facilities, and that all-important location. Reliable and dependable brokers focus on finding a timeshare that meets your desires, not simply on making a quick sale. You’ll also get access to a huge selection of weeks and points that may well not be accessible elsewhere. For instance, Diamond Resorts Points European Collection, for which Travel and Leisure Group is the only authorised reseller! 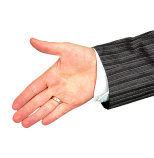 Another benefit is the fact that timeshare brokers are experts at negotiating the best deals. Choosing one with experience and a proven track record may potentially decrease the price of timeshare. Many owners battle to quickly sell their timeshare quickly. Normally, this is because the timeshare isn’t marketed in a specialist way. Timeshare brokers enable you to create a professional marketing concept that attracts purchasers and boosts likelihood of a sale. A reputable timeshare broker will never demand upfront money to join their database or put your timeshare on the market. They could provide additional services such as advertising to improve the chances of attracting a buyer. However, a reputable broker will always cost these separately to the original registration. You will also reach a much bigger pool of potential purchasers when reselling through a timeshare brokers. The best brokerages work hard to place your timeshare before as many folks as they possibly can, whether this is through internet marketing on high-traffic websites, or offline advertising such as newspapers and magazines. Travel and Leisure Group is one such timeshare broker. All clients’ monies are held by an independent solicitor in a dedicated escrow account. Our nearly quarter of a century in the industry means that our staff have an unrivalled knowledge of timeshare. We are members of RDO and ARDA, the timeshare industry’s governing bodies, and are fully compliant with all legislation including the EU Timeshare Directive. We also offer a money-back guarantee to sell your timeshare before any other RDO registered company – we’re that confident that we can help! Our extensive database provides a vast treasure trove of timeshares available around the world, just waiting for the right potential owner to come along. So what are you waiting for? Get in touch with us today. ‹ Save Money with Timeshare: Yes, It’s Possible!